The holidays are over. Graculus, the Great Green Bird, leads the Nogs back to the land of Nog. 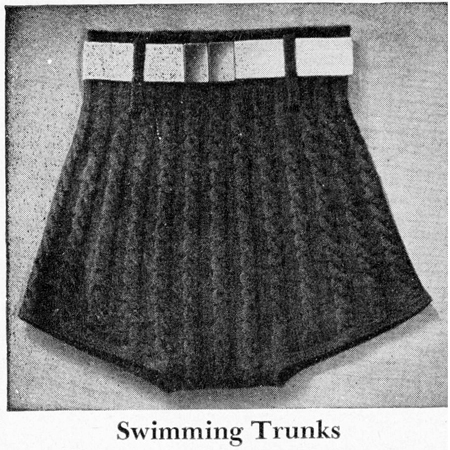 Noggin and Nooka resume their reign, Queen Grunehilde resumes her rightful place (in bed, sleeping) and ThorNogson dries his knitted woollen swimming trunks and hangs them up until next year. In the real world the lovely fellows from Third Party and Mischievous Theatre take to the road once more with The Sagas of Noggin the Nog directed by John Wright. Accompanied by the Great Green Bird Graculus, the lovely fellows go North on a journey of adventure and discovery to battle the fearsome Ice Dragon and the dastardly deeds of Noggin’s wicked uncle, Nogbad the Bad. The classic stories by Oliver Postgate and Peter Firmin, which became one of the most iconic television series of the 1970s, are playfully retold using puppets, original music, film – and a cast of silly Vikings will, once more, be showing at a theatre near you. 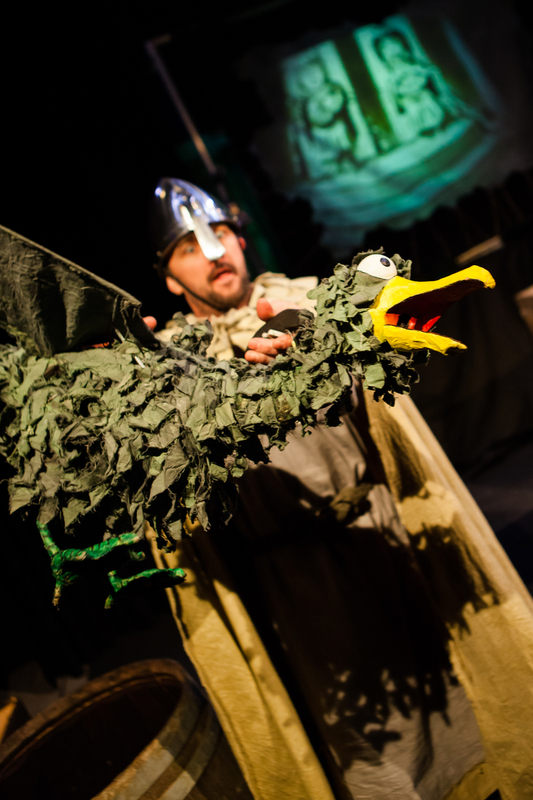 Follow the Great Green Bird … and this link to find out where and when. 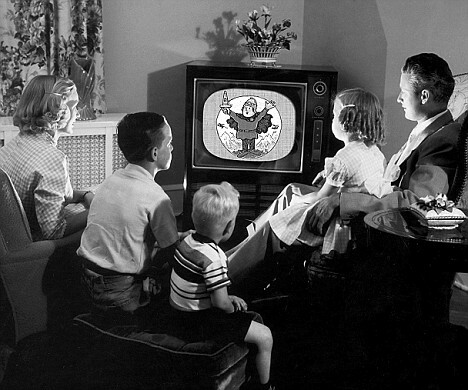 The Sagas of Noggin the Nog were first shown on British television in 1959. It was made by Peter Firmin and Oliver Postgate. They also made Pogle’s Wood, Ivor the Engine, Bagpuss, the Clangers and loads of others: the stuff that many childhoods were made of. The films were made in less frenetic times. The stories were beautifully crafted and the characters carefully drawn … but the films were also quite, quite mad! Vikings who appear to come from Surbiton, who are constantly stopping for tea and toast, who will go on any adventure at the drop of a hat. And what adventures! Travelling to the other ends of the earth to meet a possible bride. Travelling to the Hot Water Valley to do battle with an Ice Dragon that is ruining the farmer’s crops. There was a Goon-ish silliness about the tales. It was these qualities that attracted us to the Sagas and made us want to create a piece of theatre that would do justice to the marvellous nonsense of Firmin and Postgate. Queen Grunhilde the Lazy One and her maid, Ignora! The stories feel utterly modern though laced with the sensibilities of gentler times. When we came to make the play we referenced the Goons, Monty Python and cartoons that adorned our telly screens … Tom and Jerry, Road Runner and even Scooby Doo and Danger Mouse. The resulting piece of theatre is Pythonesque in its clever silliness, Goon-ish in its character driven narrative, cartoonish in its “feel” and Firmin and Postgate-ish in its attitudes. 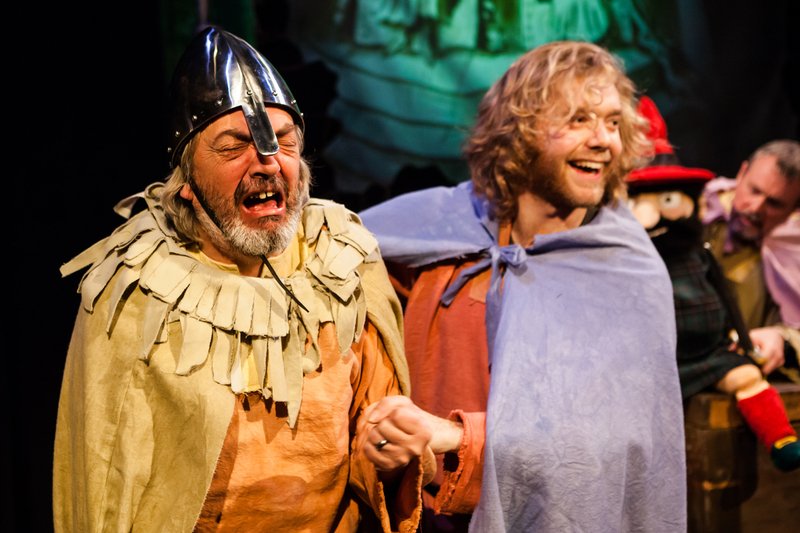 “The Nogs are a charmingly mild-mannered bunch of Vikings. They sound a bit like Terry Jones, they look a bit like him too. Except for Noggin. Noggin the Nog, their young leader, is handsome in a Viking sort of way. From my seat in the audience I was almost picked to marry him. But Noggin decided on the Princess of the Nooks instead. They bonded over cocoa and hot buttered toast. Buttered toast is very important to the Nogs. There’s no threat so desperate, be it storm-lashed seas or marauding dragons, that they can’t stop to make toast round the sine qua non of Viking icoNOGraphy: a glowing camp fire. The first ever stage production of Peter Firmin and Oliver Postgate’s much loved television series retains the homespun, low-tech aesthetic of the original without looking in any way amateurish. While much of the low-key humour derives from the sort of knowledge of the series which belongs to the older members of the audience, there’s still plenty of fun for the younger ones. It’s a close call as to who enjoys it more, the children or their grandparents. I have reprinted this because it sort of bears out what I was getting at. The Sagas of Noggin the Nog play is a fairly gentle madcap dash with live music, created on an old and charming harmonium, high-tech projection of Peter Firmin’s original drawings, beautiful puppets both small and, in the case of the dragon, blooming big, some clever theatrical tricks and a cast of Vikings that always appear to get through to the end of the play despite much giddy recklessness and a terribly English absurdity en route. Nostalgia is often levelled at the play and, of course, the play is based on a 1959 stop motion film, so there is a nostalgic feel to the piece but it is also very much a modern play. It does the play a dis-service to think of it as purely nostalgic. The play is truly cross-generational (I hate that phrase, it sort of puts the play into a pigeon hole that is so big you could get a Giant Bustard in it) … it has been performed to people from babes in arms to much more elderly people (87 years old I seem to remember in one audience). And is enjoyed by all … everyone says that, I know but it really is true of Noggin the Nog. The play is sort of “panto-esque” (not my phrase) but only in the sense that it has a baddy, a few songs, is funny and has a sort of Dame in Queen Grunhilde … but it differs in that it does not have one section for children, dirty smutty innuendos for adults and an inapposite modern pop song for the fairy tale character to “get down” to … the stories and the way we portray them are genuinely accessible and can be understood and often laughed at by all. So … come and see it. Follow this link to find out where and when. 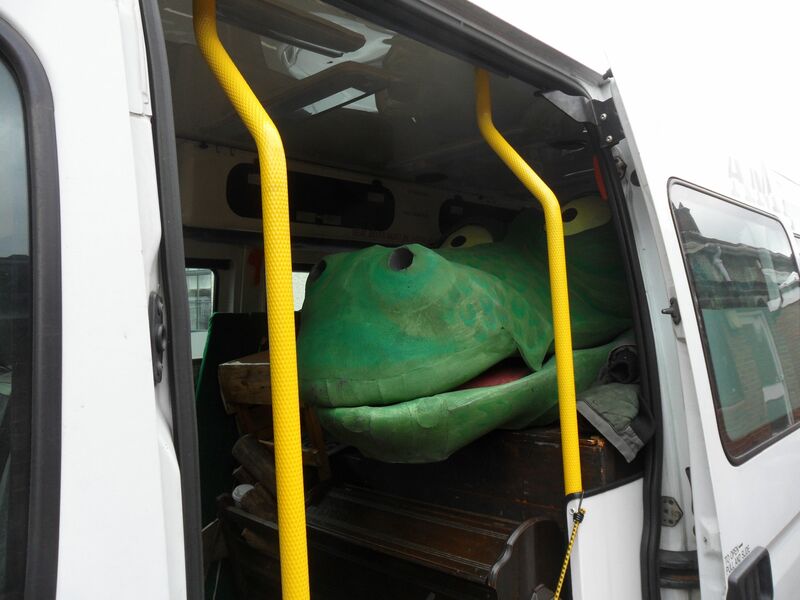 Oh no, not again … I get van sick! So, the intrepid Nogs once again take to the road. It is just a short tour this time but we do pack quite a few shows in. From Wimbledon to Buxton to Hull to Peterborough and then next year (if we aren’t too old by then) we head to who knows where! So if you are anywhere near any of the places mentioned above (or even if you are not, it is well worth travelling for) come and say hello! It has been a long time since we Nogs got together to perform at the Brighton Festival: which was, by the way, absolutely fabulous fun and with a real festival feel to it. We will be starting this new excursion into the vast interior of the United Kingdom in the wonderful Polka Theatre (For dates and times follow the link at the bottom of the page)and then we travel North, then norther and then a tad southerly, all to bring the wonderful stories of Peter Firmin and Oliver Postgate (They of The Clangers, Bagpuss and Ivor the Engine fame to name but a few) to a wider audience of families, children, adults who haven’t yet grown up, nostalgia groupies and those interested and excited by a “pythonesque” play about a bunch of Vikings! In other words; more or less everybody. Even if you weren’t raised on the slightly bizarre stories and the wonderfully hypnotic voice of Oliver Postgate I promise you will enjoy the show. We had huge audiences, a number of 5 and 4 ★ reviews from the National press and some wonderful conversations with whole generations of families last year at the Edinburgh Festival. The Sagas of Noggin the Nog is a genuine family show, so bring the children, bring grandma and grandpa and great grandma and grandpa and great, great grandma and grandpa and … you get the idea. 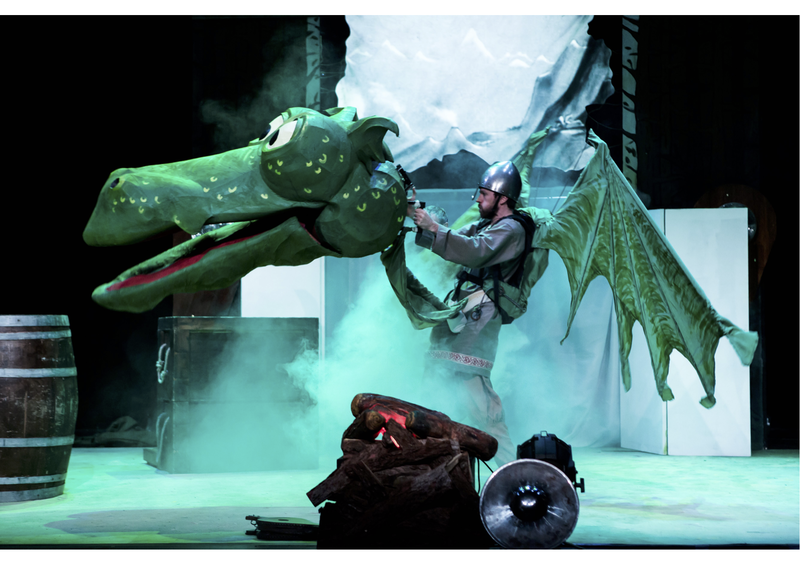 The play is based on the first two stories that were first shown on the BBC in 1959 and 1960; How Noggin became King of the Nogs and The Ice Dragon. We use live action, live music, puppets, video projection and a great deal of humour to tell these wonderful tales and although Oliver Postgate is not still with us, Peter Firmin, the artist who created the visuals is, and he and Daniel Postgate (Oliver’s son) are great supporters of the show and both laughed “like drains” at the performances at the Theatre Royal Brighton. Follow this link to take you to the Nog Log. We left the indomitable Nogs at the “Edinburgh Festival Stage Stage” at the end of the last post … which is down there 🔽 … or just scroll! 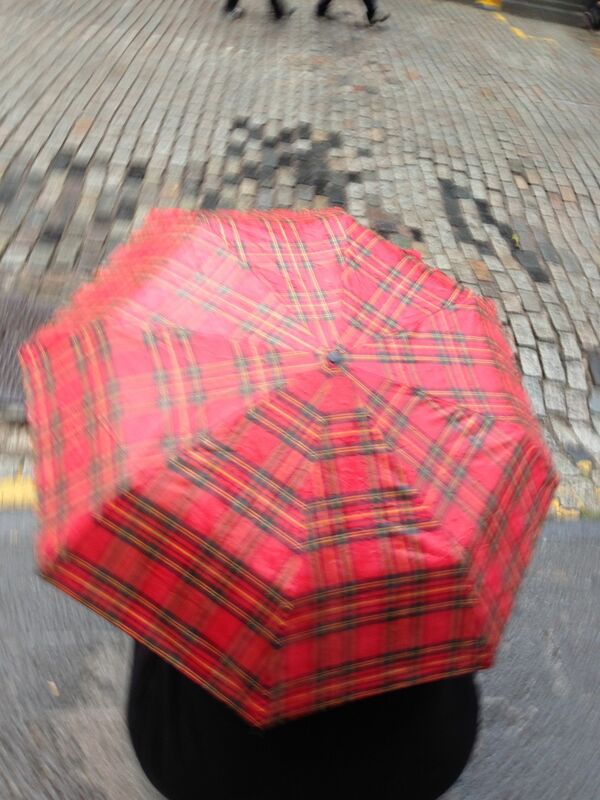 Did I mention the rain in Edinburgh? Oh, did it rain, Dear Reader! However, despite the rain, the Nogs performed every day (almost, we had a day off per week) for a month and audiences flocked in … which was fortunate as we definitely needed to recoup some of the “Plastic Money” that we had spent on getting there in the first place. We had a fabulous festival not only as a company but also as individuals … I saw theatre great, theatre poor, theatre exciting, theatre weird, theatre absurd, theatre beautiful, theatre intellectual and theatre downright awful but that is the way of festivals! I met a great many amazing people. I listened to incredible musicians. I walked by the canal. I drank beer and ate incredibly well. I handed out Noggin flyers (in the rain, of course … it was sometimes quite difficult handing people who were clutching bags, children and umbrellas a flyer that had the consistency of papier mache). I even had an evening at the whisky society … I was very careful … I counted the steps on the way in so I knew how many I could fall down at the end. Did I mention the rain? There were a lot of these in Edinburgh! 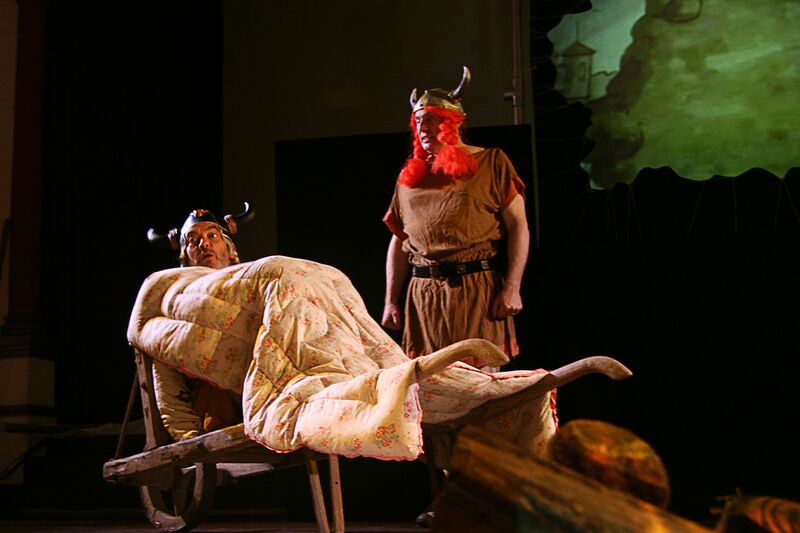 The main reasons for us taking “The Sagas of Noggin the Nog” to the Edinburgh Festival was to give the play a longer life, to introduce new audiences to Noggin, to bring the original films and books to the attention of the general public and to create a bit of a buzz around the wonderful and charming stories of Firmin and Postgate. Our audiences literally ranged from babes in arms to Methuselah and his mother. We had Grandparents with their Grandchildren, Grandparents without their Grandchildren, young families, whole generations of families, young people on their own, groups of young adults, middle aged Noggin groupies and a great number of bookers, venue directors, producers and many other theatre and arts professionals … and occasionally drips of rain that crept in through the canvas roof and threatened to soak our projectors and us. 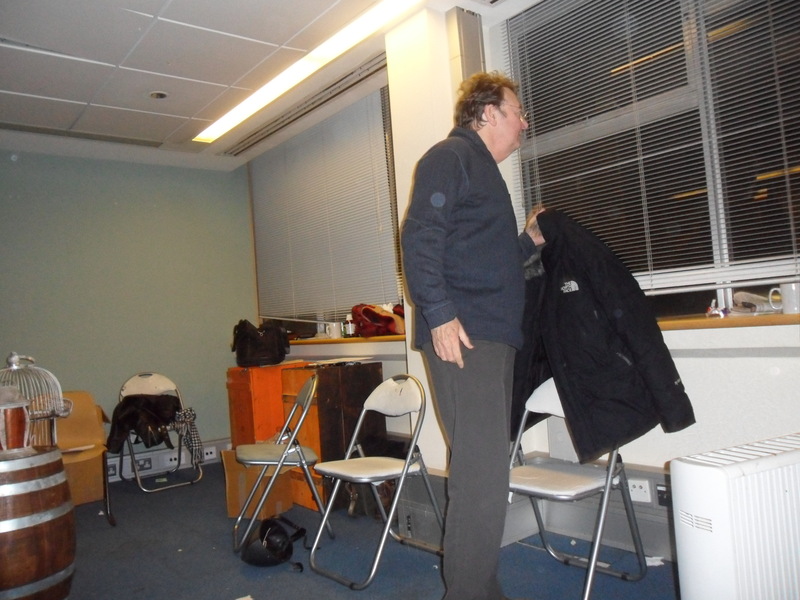 We also had a number of reviewers that came in to see the play … and fortunately, they enjoyed it. We had some fabulous reviews, ★★★★ and ★★★★★ and, more important in a way, lots of people who had seen the show wanting to talk to us about it … and where can we buy the books, DVDs, and so on … the answer is at the bottom of this post, Dear Reader. Nogs enjoy the Edinburgh Summer! Our exciting and tiring sojourn in the land of whisky, theatre and rain eventually came to an end. We loaded up the Nogbulance and headed south and … home! This we called the “What Do We Do Now Stage”. It is hard trying to readapt to home life after a month of fun and nonsense (oh, and hard work). We debriefed … see a previous post . We rested. We moved on to other projects … and we started to create a National tour for the Autumn of 2015. We were incredibly fortunate to meet someone who wanted to support the play financially … and so we began to plot. In our heads, which are often slightly fuzzy at the best of times it has to be said, we were working towards an Autumn tour … then … the Brighton Festival came along and asked us if we would perform over the May Bank Holiday in the Theatre Royal Brighton. This we called the “Oh Blimey, May Stage” May didn’t quite fit into our plans but … the whole point of Edinburgh was to create a Noggin buzz and work for the Noggin team and here it was being offered to us on a plate … the “Plastic Money” investment was beginning to pay off. So, we cranked up the producers (Me and Tony) and tried to get the team back together again …. which we almost did except that Nick had prior engagements and so we asked another fine performer and all round good egg; Kevin James if he would like to become a Nog … and he said yes! We had new costumes made. We had a new set built and painted (it was still wet during the final rehearsal). We had the Ice Dragon rebuilt (to make him taller and give him wings). We had a new Ronf, the little fellow from the Hot Water Valley, built. We re-imagined and re-rehearsed the whole of the second half of the play. We added a new song. We bought a new brighter (and therefore more expensive) Video Projector. We wanted two but that was too much for the bank to bear. We all turned up for a week in a rehearsal studio in North London and set to work. This we called the “Brighton Festival Stage”. A naked prototype humanet of Ronf, the little man from the Hot Water Valley. And now a note of sadness … (violins play) … THE NOGBULANCE IS NO MORE! 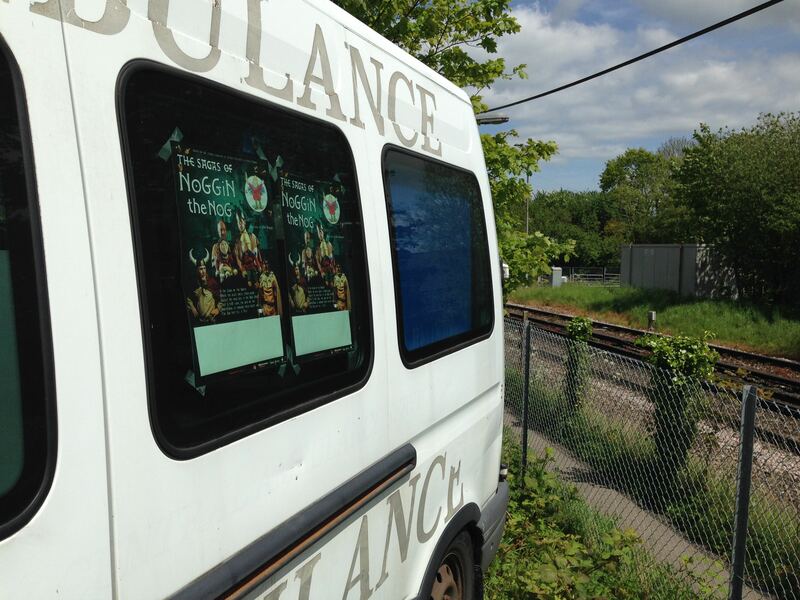 Our trusty old ambulance that has transported the Nogs and all of their kit, has gone to the scrapyard in the sky! It wasn’t dramatic it just wound to a halt and made a strange strangled noise … which proved to be terminal. We managed to hire a van from Proteus Theatre in Basingstoke and transferred the set and props and said goodbye to a trusty old friend. The Nogbulances Final Resting Place … by the railway lines in Battle! These things are sent to try us … and they did, try us, I mean. 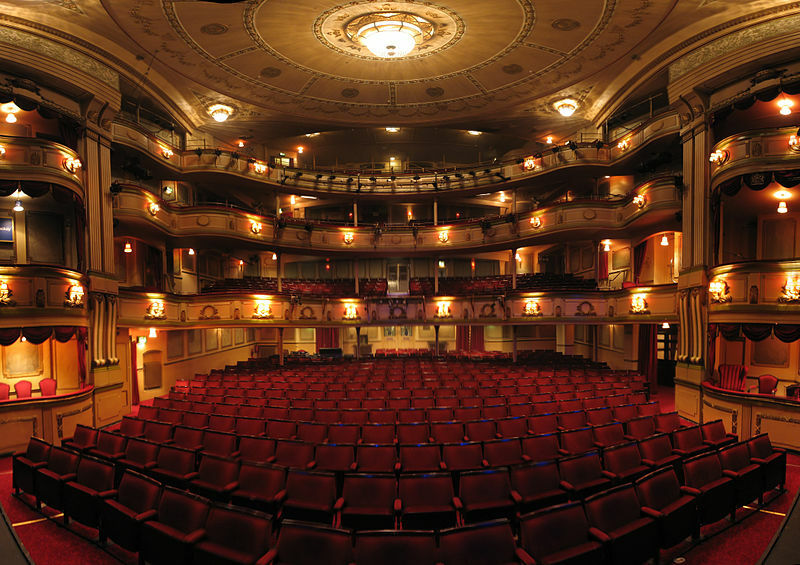 Losing your Nogbulance when you need to move all of your kit to Theatre Royal Brighton is very trying indeed … crikey, we said, and stamped our feet. But … we made it to Brighton. There will be another post shortly that will give more details of the last few days of rehearsal and our weekend by the sea in Brighton. In the meantime … if you would like to purchase a book or a DVD, then follow the link. The road to Brighton (and beyond) has been a long one … and relatively slow, with lots of twists, turns, the odd blank road-sign and a surprisingly large amount of rain. For those who know nothing about our production of The Sagas of Noggin the Nog here is a bit of history; for those who do, a recap. In the lands of the North, where the black rocks stand guard against the cold sea, in the dark night that is very long … Tony Gleave and Clive Holland sat and plotted. They talked of producing a piece of theatre that was genuinely for families, indeed, genuinely for the old and the young and everyone in between. Earlier in the day they had wandered along the beach in Margate and had become excited by the mention of Noggin the Nog. And now, with the odd bottle of beer and a salty snack, they talked long into the night. A Noggin Note: The Sagas of Noggin the Nog was an iconic television series that began in the 1950s by Peter Firmin and Oliver Postgate (Bagpuss, The Clangers, Ivor the Engine, etc); it was shown on the BBC. As the beer evaporated and the talk became more animated … they began to plot and plan. They met up with Peter Firmin and Dan Postgate (son of Oliver) and asked if they could have the rights to produce a play: yes … oh joy! They were fortunate to receive a small grant from Arts Council England and collected a coterie of creative people … designers, directors, puppeteers, musicians, actors and put them all in a room at the same time. This they called “The Research and Development Stage”. They spent almost two weeks getting nowhere … and a couple of days working out what they should have been doing in the days when they were getting nowhere. By the end of “The Research and Development Stage” they had a good idea of how they were going to make the play. And so, some months later, with a two week run at The New Diorama, London, planned, and a short tour organised, “The Research and Development Stage” became “The Rehearsal stage”. 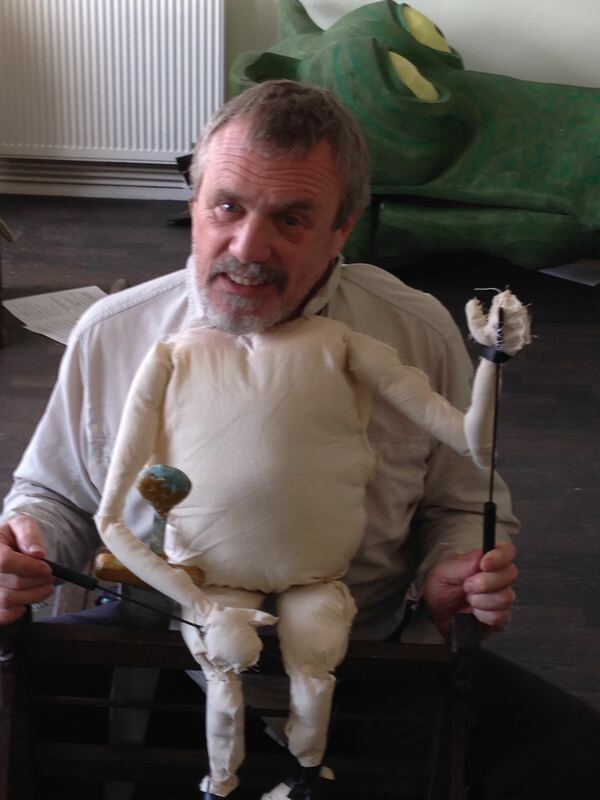 During “The Rehearsal Stage” puppets were designed and built, costumes created, music and songs written, video of the original films of Firmin and Postgate was created, a script developed and, eventually, a piece of theatre called “The Sagas of Noggin the Nog” was born. Oh, how happy they all were. A two week run at The New Diorama, was followed with a short tour of theatres large and arts centres small. They bought an old ambulance to tour around the country like the travelling players of yore; it was very quickly renamed “The Nogbulance” (more of this later). They travelled north, south, east and west. They drank dreadful and outrageously expensive coffee, they had more curries than was wise, they slept in hard beds, soft beds, beds that were too small, beds that were as big as Wembley Stadium, they drank beer of every region and … they performed “The Play” to thousands of people young and old and everything in between. The tour was deemed, by all and sundry, a huge success. Venues loved it, audiences loved it, the media loved it, we loved it but … by the end of the tour and despite “The Play” being highly regarded, their bank account stood at forty-three pounds twenty-seven! “The Touring Stage” is terribly expensive and despite brilliant audience numbers (most venues sold out), they struggled to make it pay. Thus began the “We Have Found a Whole New Way to Lose Money Stage” otherwise known as the “Edinburgh Festival Stage Stage”. They found a venue. They filled in the forms. They re-created the play to fit into a one hour slot. They had thousands of fliers and posters printed. They found somewhere to stay. They ran a Kickstarter campaign to raise money. They went to Edinburgh. The first two days were beautiful sunshine. They had been lulled into a false sense of security. The rest of the month it rained. It was windy. And it rained. And it was cold. And it rained. And their venue was a tent! 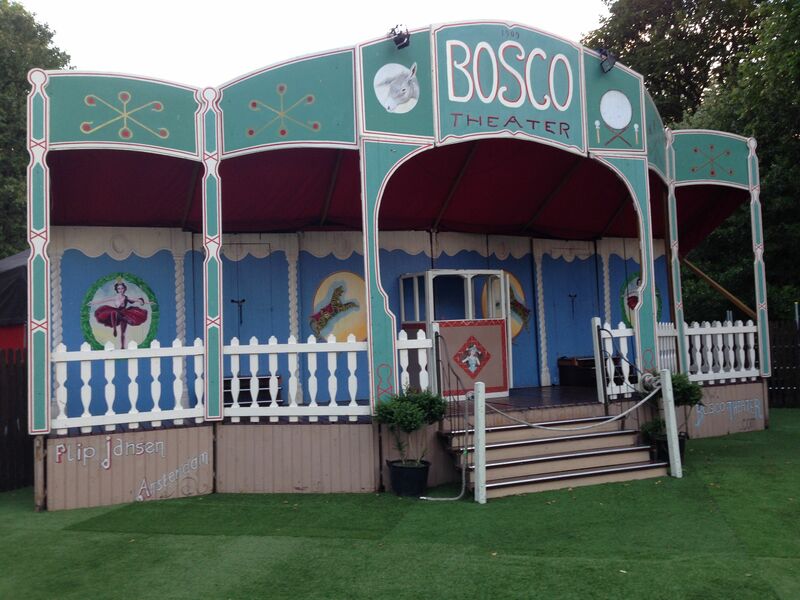 A beautiful theatre tent. A tent with a wooden floor. A tent with wooden walls. A tent with a canvas roof! They had arrived to discover that one of their boxes of leaflets had … disappeared, that their digs were not as large or as plush as they had been led to believe. 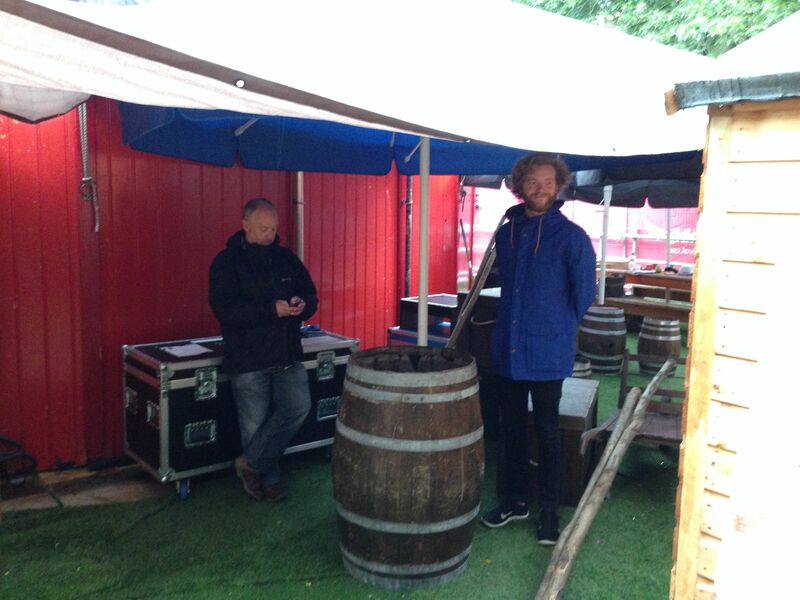 They were happy though because they were at the “Edinburgh Festival Stage Stage” … and then the rain came. As we are almost as far from Brighton as we can be and yet still be in the UK, there will be another post to continue the story. The next part of this post shall be intelligently called “Zooming Towards Brighton … Slowly! Part 2” and will appear soon … do pop back! Post Edinburgh Debrief … number 1. … following our truly successful and incredibly tiring trip to the Edinburgh Festival we, the intrepid band of Nogs, have been debriefing to discover what we did, what we failed to do, whether we achieved what we wanted to achieve and, most importantly, where we go next! For all those of you who helped us financially on our Kickstarter campaign, all those who came to see the show, those who sent messages of support, those who helped in various other ways, we have decided … we have enough possible/probable and improbable venues who want to book the show, that we’re touring next year! Huzzah! So thank you all! Groliffe, the charming and slightly scary Ice Dragon will once again have to be coaxed into the van, as will the aged (well, three aged and one still young enough to be moist from the womb) performers, who, with aching limbs, loose skin and morals to match will moan and grumble about the price of service station coffee, the price of diesel, the price of … well, just about everything but … into the van they will get. There is, of course, a huge amount of work to do before then. Putting together a tour is not an easy thing; for a start, everyone seems to want the same dates, and those who don’t, want dates next to another venue that is the other end of the country. We have to try and avoid the alphabetical tour: Monday Aberdeen, Tuesday Brighton, Wednesday Carlisle, Thursday Devizes … you get the picture. And then there are some venues that really, really, really want us but because they have a small seating capacity, they can’t afford us. 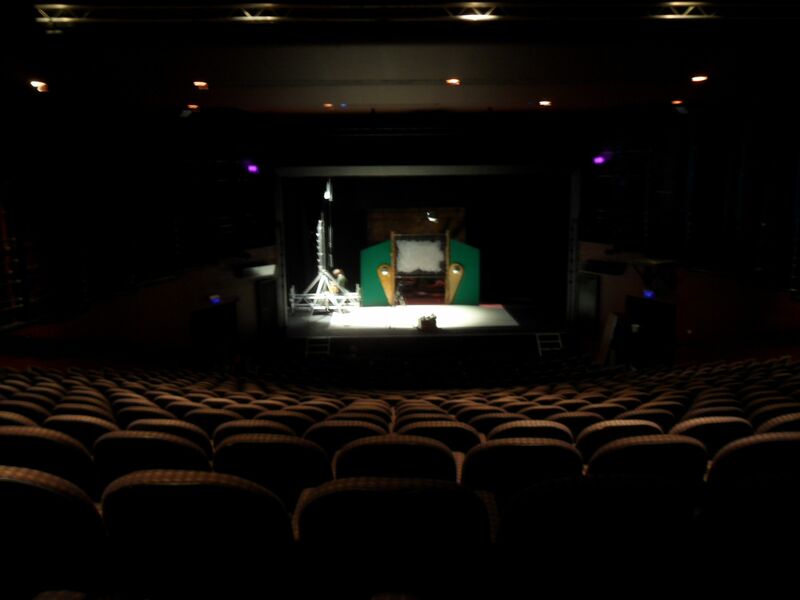 We also have to make sure that the prime times, which with a family show, seem to be half term and weekends … that we are in the bigger venues where more people can get to see it; apart from anything else it makes financial sense for us. … do they appear to be grown-up businesslike to you? Well, actually we are … though we do have a tendency to fall back to our default setting which is … “you can’t afford it? Never mind … we’ll see what we can do …” which usually ends up that we take a bit of a financial hit but the show is so important to us, that we want everyone who wants to see it, see it! And money is only money! 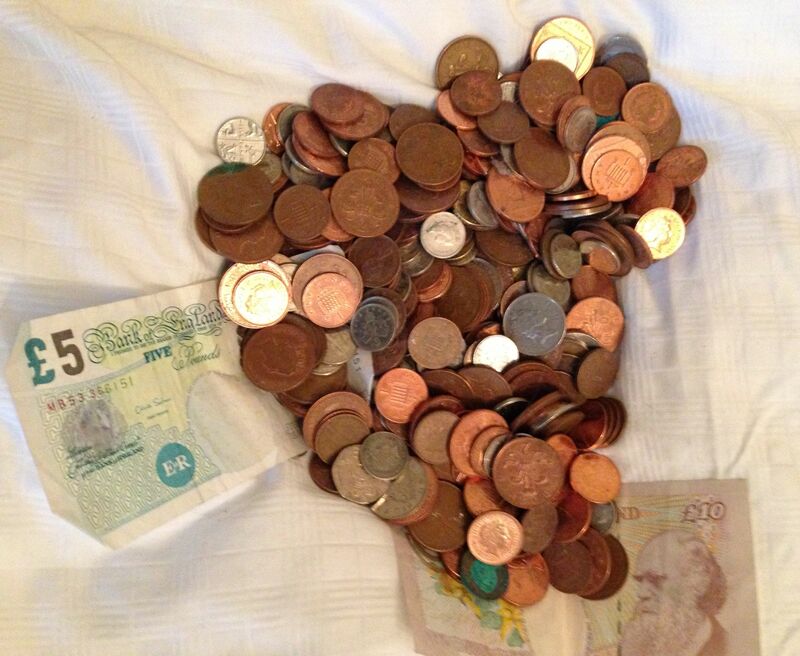 For those of you who are artists; this is what money looks like. So, watch this space over the coming months and we’ll keep you up to date with how the preliminary work (sounds exciting, doesn’t it) is coming along and as soon as we have definite dates and venues all booked in we’ll put that up too!